When you work in the field of call-based marketing or service, you undoubtedly hear the words “agent utilization” tossed around by management. What does this term mean? Why is it important, and what can be done to improve it? Here, we examine the basics of calculating agent utilization and putting this metric to work in your facility. Agent utilization is a figure that represents the percentage of time an active agent spends on calls or performing call-related work. This means that any agent who is “on the clock” is monitored to offer a metric based on how much of their at-work time is used actually performing the tasks they are assigned. The resulting number is an agent’s utilization percentage. The rest – time waiting for calls to come in, etc. – is the number most call center managers are looking to decrease. How is Agent Utilization Calculated? If figuring out your agents’ utilization percentage sounds tricky, don’t worry – it’s really quite simple. Most call direction software solutions offer an option for feedback that provides you with this information, or at least the numbers you need to easily calculate it yourself. Simply take the amount of time your agents are reported as being on calls or performing call-related tasks and divide it by the total time they are on the clock. Multiply the resulting number by 100, and you have the agent utilization percentage. So, now you know how to arrive at your agent utilization numbers for your staff – now what? What do managers use this information for and what is its significance? 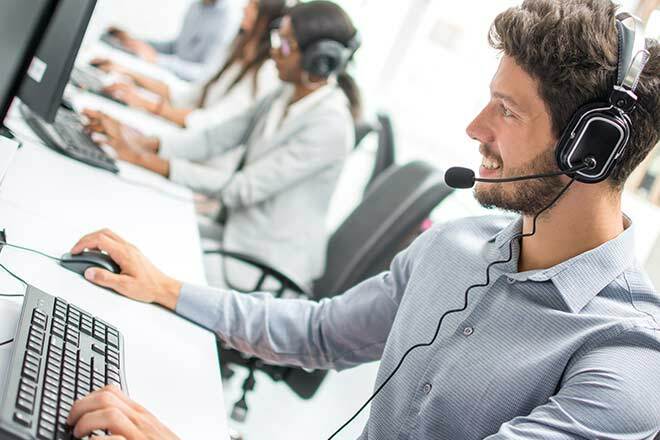 For most of today’s call centers, metrics like utilization are used as a goal-setting device and a starting point for improvement. When you know where you are, you’re able to better plan how to improve. 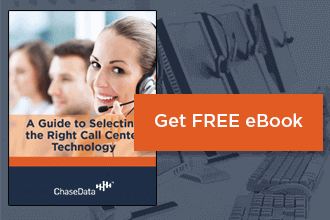 Business planning is perhaps the biggest reason call centers use agent utilization. 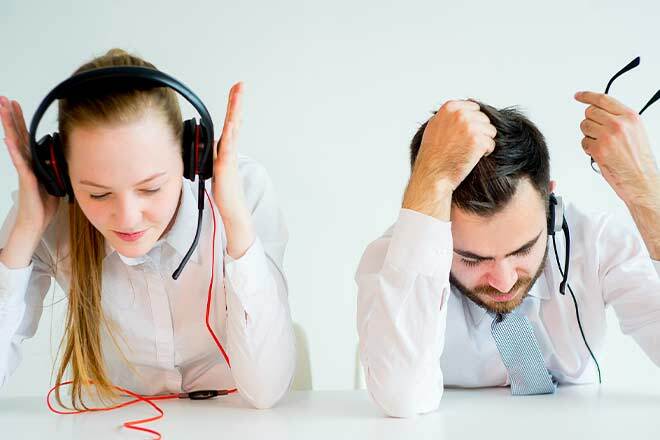 It helps management understand the efficiency of their center and how to best maximize that figure – while maintaining balance to prevent burnout and turnover. Perhaps the most important application of the agent utilization metric is to indicate the areas that need improvement or are currently satisfactory within your center. Setting goals for your staff should be the responsibility of members of management who are informed of these metrics and understand what they mean. It’s about more than just occupancy, it’s about the efficiency of your employees’ work, too! The size of your call center. Smaller centers will have lower occupancy. Larger ones will have higher rates. What kind of call center you operate. Are you answering or making calls? This can have a major impact on how long your employees spend on the phone. The company or organization(s) that your center partners with. Customer service companies may spend a lot more time on the phone with consumers than a sales organization would. The hours you are measuring performance during. Night staff at 24-hour call centers will naturally see lower occupancy rates than daytime staff. In order to be realistic and effective, goals for performance should be set with these and other variables in mind. Likewise, expectations of performance should be modeled by members of management. When you’re willing and able to perform a task yourself, your staff will be much more inclined to follow your lead. With such a positive impact on overall productivity, call centers must hope for 100% utilization every month, right? Not so much. While it’s true that higher agent engagement and utilization means more productivity, other factors can suffer if this percentage is too high. The closer your totals get to 100%, the closer your agents come to burning out and leaving their positions, a phenomenon known as turnover. Imagine if you were fully engrossed in your job for every minute you were clocked in. Maybe you feel as if you work the full amount that you’re paid to, but if you’ve ever given yourself a short gather your thoughts or let your mind wander then you understand that this aspiration is nearly impossible. Employees who feel pushed to achieve near-impossible productivity goals often come to resent their management and their position. When this happens, they abandon that position in favor of a less-stressful job. This has major ramifications for the entire call center, regardless of size. When turnover happens, it can have a dangerous ripple effect. A vacant position means time and resources spent filling it. The hiring process may distract management members from other, more important tasks. It may prevent the business from moving forward with other productivity and efficiency-building measures. It may also cost a great deal more than business as usual would. New hires require training, which also takes time and valuable resources that could be used for other tasks. In these ways, turnover has a larger negative impact on the overall company than most employees or even management members realize. Minimizing turnover is just as important as maximizing productivity. Balancing the two means understanding how to properly schedule your workforce. Some agents prefer and can handle a lot of calls on a regular basis, while others may move a little slower but deliver excellent customer service. The task of management – aided by today’s best technological solutions – is to know who can handle what and deliver those tasks accordingly. If you would like more information about providing your call center agents with the tools and technology they need to achieve better and more balanced utilization metrics, contact us at ChaseData. We have the experience and expertise to guide you through the process of updating your software and systems and providing training to your entire staff. With a little support, your center can reach its fullest potential – without losing the team members that make up the lifeblood of your agency.